Nancy Dorman Tarbell Swanson, 80, of Union City passed away peacefully Sunday, September 17, 2017, at the Walnut Creek Healthcare and Rehabilitation Center. She was born in Erie on March 1, 1937, and was the daughter of the late Earl and Hazel (Grant) Dorman. She graduated from Waterford Academy in 1955. Nancy worked in the Union City High School cafeteria and MFG Boats. She split her time between Union City and Florida for many years and was able to more fully enjoy her activities. 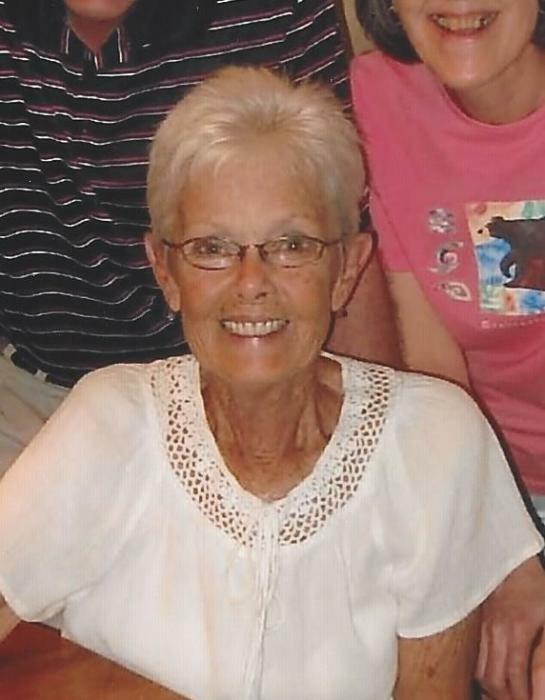 She loved to play golf and spent many years involved in league play having spent a significant amount of time on her multiple flower gardens. Survivors include a daughter, Rhonda Lozier (Darrell); a son, Ellery Tarbell (Barbara); grandson, Gregory Tarbell (Kailey); granddaughter, Maria Tarbell and most recently, a great granddaughter, Aria Rose Tarbell. In addition to her parents, she was preceeded in death by her first husband Lynn Tarbell and her second husband, James Swanson. Nancy's life was greatly blessed by her special friend Richard. She greatly appreciated her long time friend Faneil. Nancy as well as her family, would like to thank Karen Proper for all her friendship and support. She and her family would like to extend the warmest appreciation to staff at Walnut Creek Healthcare and Rehabilitation Center. We would also like to single out the very loving support we received from Great Lakes Hospice. Family and friends will be received at Michael S. Pandolph Funeral Home, Union City, on Thursday, September 21, 2017, from 6 p.m. until 9 p.m. A funeral service will be held Friday, September 22, 2017, at Union City Christian and Missionary Allance Church at 11 a.m. with Pastor Tom Hunsberger officiating.